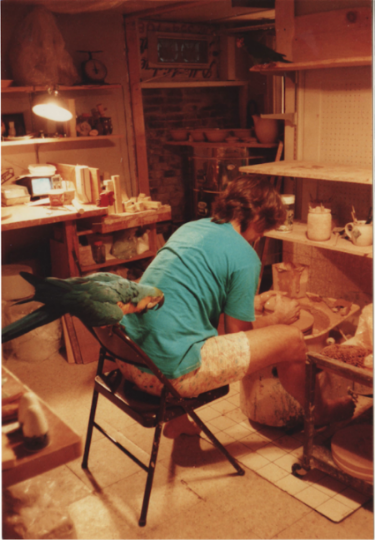 Foster Parrots was founded by Marc Johnson, who began this incredible journey out of a small pottery studio in Cambridge, Massachusetts. Born in Washington State and educated at the University of London, Marc Johnson began his adult career as an art teacher and a reputable potter with a busy studio in Cambridge, Massachusetts. It was at this time when he acquired his first parrot, a Blue & Gold Macaw named Wally. His relationship with this dynamic creature quickly gave rise to a keen awareness of the remarkable intelligence of parrots, of the challenges involved in providing quality care to a flighted wild animal and, eventually, the realization that most people fail miserably in their attempts to care for parrots over the long term. By 1988 rescuing unwanted parrots and locating adoptive homes for second hand birds became a full-time job, as did his quest to educate people about parrot care and the growing crisis of unwanted and abandoned companion parrots. Johnson moved to Rockland, MA. and founded Foster Parrots, Ltd. The organization was incorporated in 1999, becoming one of the first formally established parrot rescue organizations in the country. Foster Parrots, Ltd. then established The New England Exotic Wildlife Sanctuary (NEEWS) on 15 acres of land in Hope Valley, Rhode Island in 2007. 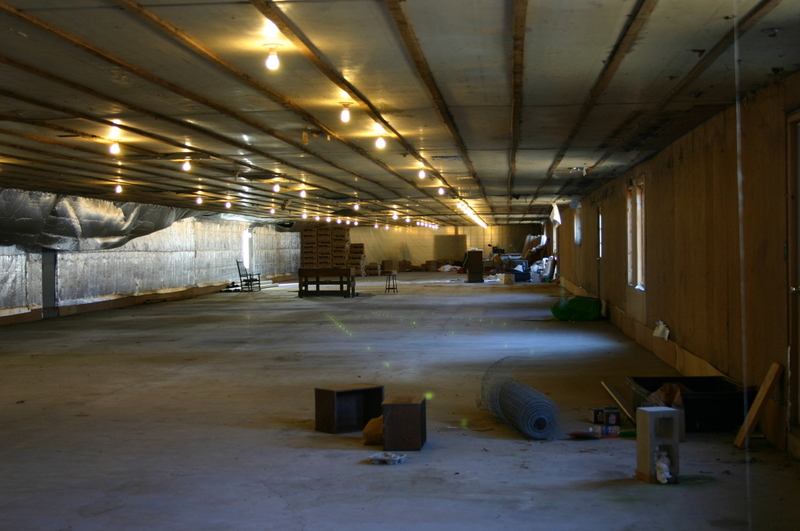 Since then we have been transforming what had once been a factory chicken farm into a place of peace and safety for hundreds of birds and animals. The land was purchased outright by Foster Parrots in 2008. In 2013, an estate gift from long-time supporter James Burke enabled us to purchase eight additional acres in order to further preserve the natural beauty of the surrounding forest and wetland. The NEEWS now serves as the permanent sanctuary arm of Foster Parrots, Ltd. and, currently under development as a regional center for humane education and avian/exotics services, offers educational outreach programs, student internships and adoptions. Our 25,000 square-foot facility features large indoor/outdoor aviaries designed to accommodate and encourage natural behaviors like flight, foraging, playful interaction and social bonding.